Gloria Chi is Hawaii's first and most experienced Chinese Real Estate Broker. Member of an elite group of highly educated Realtors in the U.S. Only 12% of all Realtors in the U.S. earned a graduate degree while 30% earned a bachelor's degree. Born in Beijing, raised in Taipei, and educated in the States, Gloria understands cross-cultural communication essential to succeeding in Hawaii's multi-cultural community. Seeking year round sunshine and the health and cultural benefits of raising a family in Hawaii, Gloria moved to Honolulu from New York City in 1979 where she served as the Grant Administrator for the Columbia University Medical Center. In 1984, Gloria began her real estate career. Her strong work ethics and multi-lingual skills earned her top producer recognition. As an entrepreneur, Gloria opened her own real estate practice 1988. Since then, Gloria Chi Realty, Inc. has grown to attract a broad and repeat international and local clientele base. Gloria Chi has since become the State of Hawaii's most experienced Mandarin Chinese speaking real estate expert. Gloria is a working international businesswoman. As a founding member and board director of Hawaii Chinese Association, Gloria continues to plan community functions and fundraisers for the local Chinese community. 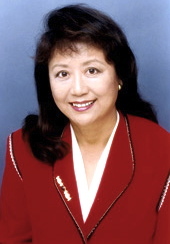 Elected as President of the Hawaii chapter of the Global Federation of Chinese Business Women in 2003, Gloria frequently travels the globe to attend international business conferences. In the past few years, Gloria visited Washington, D.C., New York City, Shanghai, Beijing, Taipei, South Africa, Bangkok, and Sydney on separate and often return trips. In November 2004, Gloria was invited to Beijing to introduce Hawaiian real estate to 2,000 attendees. Gloria's decades of dynamic and diverse real estate service is unsurpassed. As a result of working with high-profile Asian powerhouses, she understands the discretion, sensitivity and confidentiality required of such transactions. Gloria enjoys working with people and loves a great challenge! Call Gloria at (808) 372-3333 or e-mail at gloriachi@aol.com. Wayne J. Chi is one of Hawaii's top Chinese Real Estate Brokers. Wayne J. Chi, Esq. practiced real estate law and represented private and corporate clients in the purchase and sale of real estate in both Honolulu and San Francisco, two of the top real estate markets in the U.S.
As a second-generation Realtor, an active real estate investor, an accomplished attorney, and as a Hawaii Real Estate Expert Witness, Wayne's clients gain a tremendous edge from his custom one-on-one service, negotiation style, use of the latest technology, and extensive personal national and global network. Wayne's clients also benefit from his in-depth market knowledge including comprehensive understanding of global demand and pricing trends, timing, inventory, and the inner workings of the industry. Wayne is fluent in Mandarin Chinese and is one of Hawaii's most experienced and distinguished Mandarin Chinese speaking real estate experts. Wayne is also the host of My Aloha Dream Home, HGTV's first personality-driven Hawaii show. Wayne has successfully represented some of the most important people in the world in the acquisition and sale of luxury, waterfront, and million dollar view residential and commercial properties in Honolulu and throughout the Island of Oahu since 2004. Wayne J. Chi is passionate about people and real estate. Please review the Testimonial page to better understand his approach to real estate. Wayne J. Chi is the sole anchor and host of My Aloha Dream Home, HGTV's first personality-driven Hawaii based show. My Aloha Dream Home brings Wayne's unique perspective and real estate expertise to the national stage. My Aloha Dream Home airs every Friday night on primetime at 9 pm ET/8 pm CT. Check your local listings for details. My Aloha Dream Home is also available on iTunes, Apple TV, Roku, Amazon Prime, and the HGTV app. Institute for Luxury Home Marketing—Million Dollar Guild Member (certifying successful representation of buyers and sellers in the $1,000,000+ price range in the Honolulu market). Asian American Bar Association, the first and largest Asian American Bar Association in the U.S., LGBT Co-Chair (2013), Membership Co-Chair (2009-2011), Member since 2006. Advisory Board Member of 2 Hawaii Non-Profits which raises money for scholarships through real estate investments. Santa Clara's Katharine and George Alexander Community Law Clinic, volunteer law clerk. Established a successful San Francisco based real estate and investment law firm with an ancillary office in Honolulu. Judicial extern to the Honorable Edward M. Chen of the U.S. District Court for the Northern District of California. As Lead Symposium Editor for the Santa Clara Law Review (Vol. 48), Wayne spearheaded a ground-breaking Symposium on expanding marriage rights beyond traditional American families. Worked under one of California's top trial attorneys. In 2010, founded www.ricebowlproject.com, the first crowdfunding site for social entrepreneurs. On July 8, 2015, Wayne won a hard fought complex immigration matter which modified two long held immigration regulations from 1976 and 1982. The new ruling Matter of R. Huang, 26 I&N Dec. 627 (BIA 2015) affects countless individuals across the U.S. and must now be given the highest deference in federal courts. See also: Lexis Nexis Article. Avid real estate investor and proud home owner. "Wayne being born and raised in Hawaii, and who grew up in a family of Realtors, offers extensive experience and in depth knowledge of the Hawaii real estate market. The most important part of finding a home that is perfect for our family was in the negotiation process. Wayne did an outstanding job using his excellent people and negotiation skills to have made our offer happen on our terms. Wayne is bilingual and also holds a law degree which is essential for this type of significant purchase. We have purchased and sold several homes on the mainland, I believe he was the best Realtor we ever had in our experience." Lead Microvascular Surgeon on the first human face transplant in the U.S.
"We are so happy right now! Our new home is JUST BEAUTIFUL! I know we were discerning and selective, but everything worked out in the end and you were a big part of that! Thank you for everything. You are a friend to both of us." "Thanks again Wayne for all your hard work and for helping us get this property! With several multiple offers, we absolutely would not have secured this home without your help and insight. We will absolutely send referrals your way." "We were very pleased with the time and effort that Wayne put into helping us find a great house. He went above and beyond the call of duty to take care of us. If we had questions and needed his assistance, he drove over 30 miles late at night to meet with us. He was patient and well-informed. He made us feel as though we were his only client. Besides being a delight to work with, he is smart, savvy, and super organized. We appreciate his diligence, sensitivity, positive approach, and unflagging good humor. Somewhere in the process Wayne went from being our real estate agent to being our friend. We offer our highest recommendation for Wayne." "Wayne helped us purchase our first property. His knowledge of the real estate market and his energetic negotiation style allowed us to make the right choice for the best price. Wayne also advised us through the escrow process and made sure we had everything we needed to complete the sale. We couldn't have imagined a better first home buying experience." "Wayne’s positive attitude and precision got the job done! Wayne told me in advance what to expect and smoothed out all the road bumps. He truly cares about his clients and is passionate about real estate. Wayne excels at what he does!"